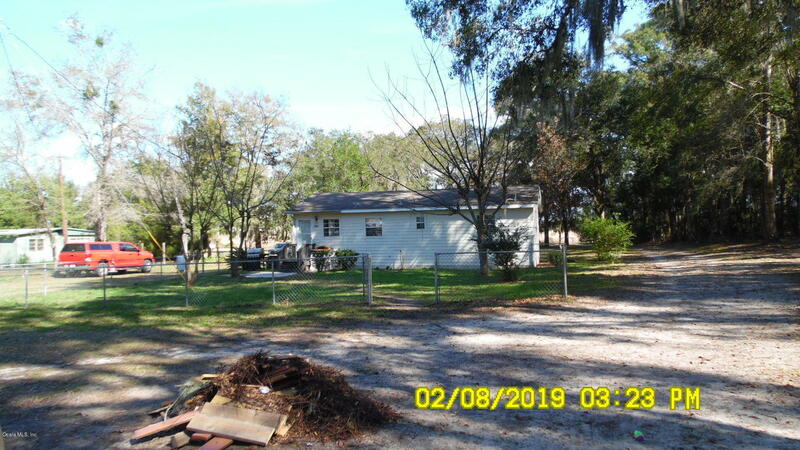 4982 SW 51st Terrace, Ocala, FL.| MLS# 550626 | Spruce Creek Realty...Retirement Communities in Florida, Resale Homes In Spruce Creek South, The Villages, Stonecrest, Del Webb. 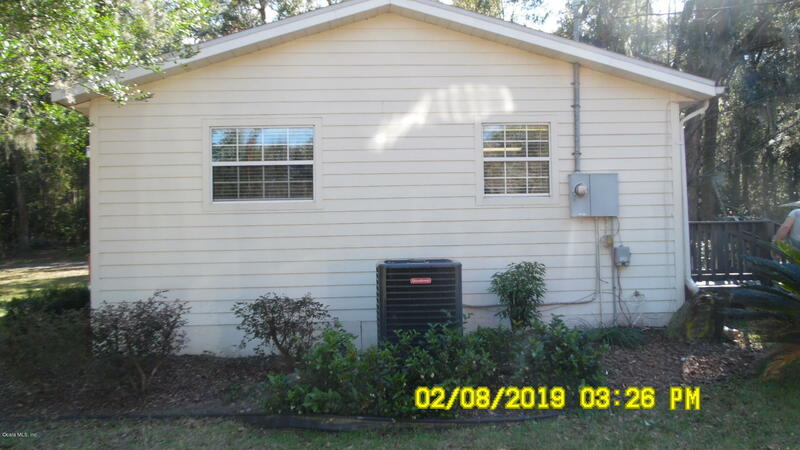 Owners relocating out of state. 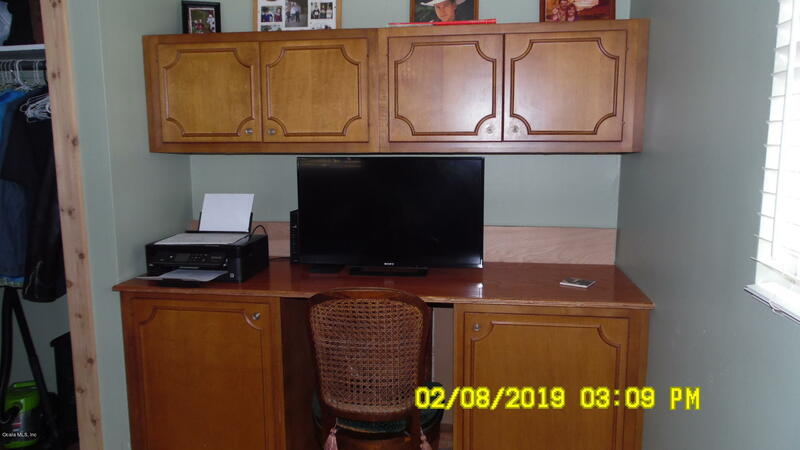 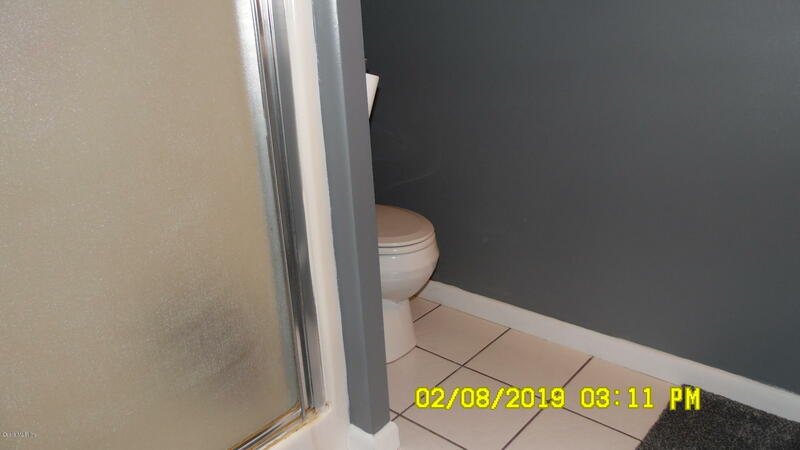 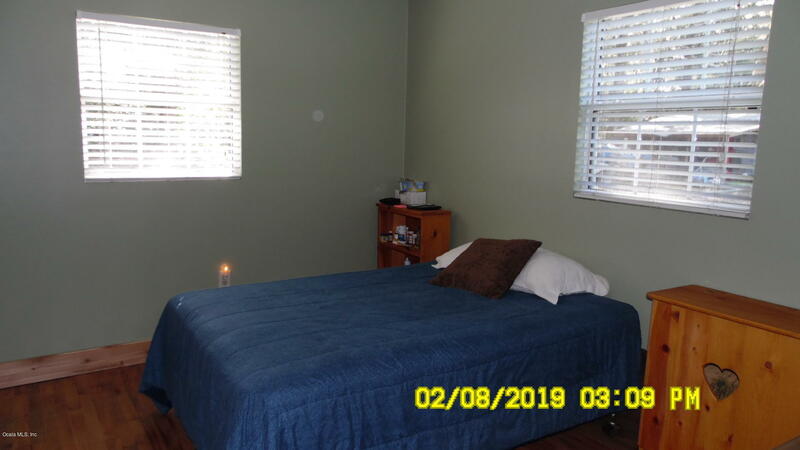 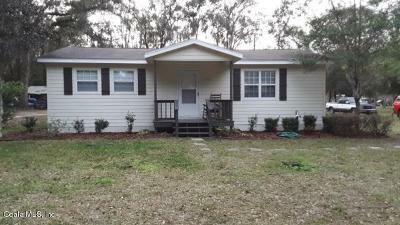 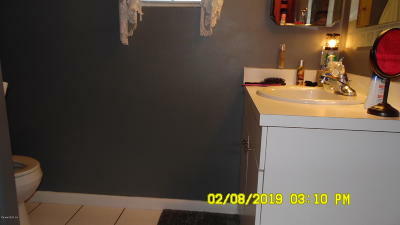 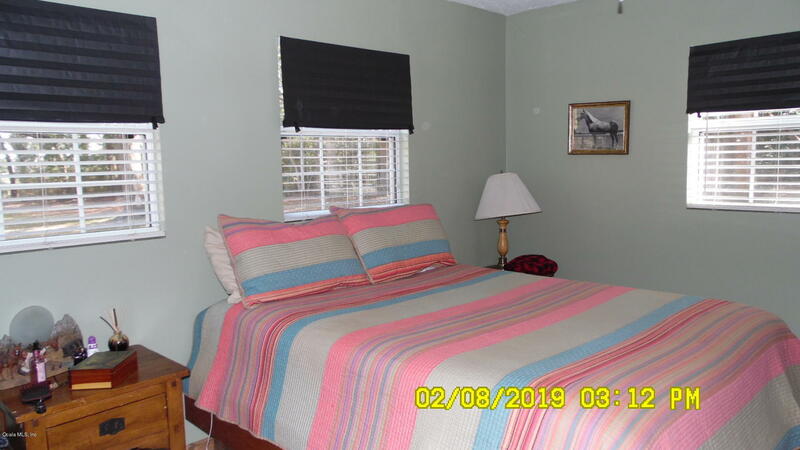 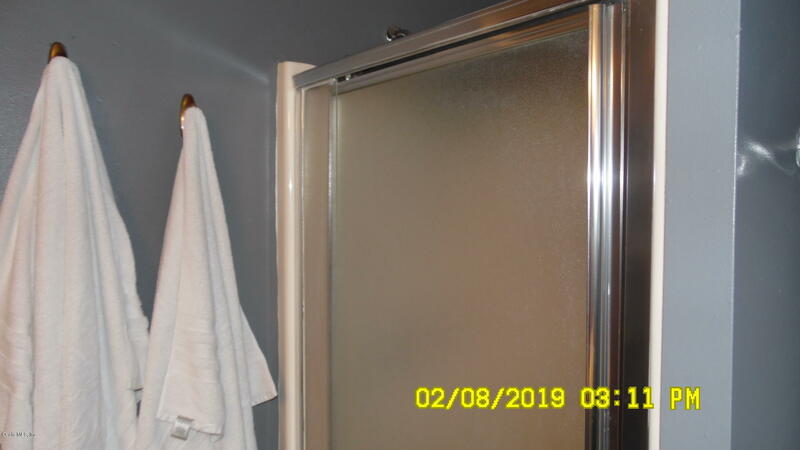 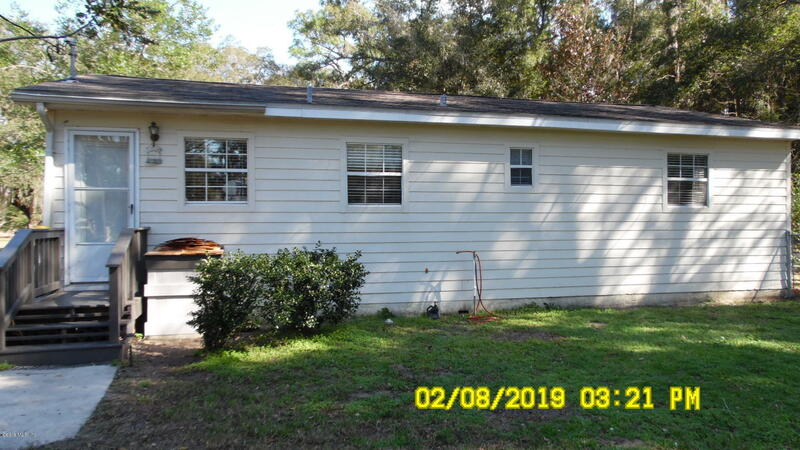 Great location just off Highway 200 easy access to shopping and I-75. 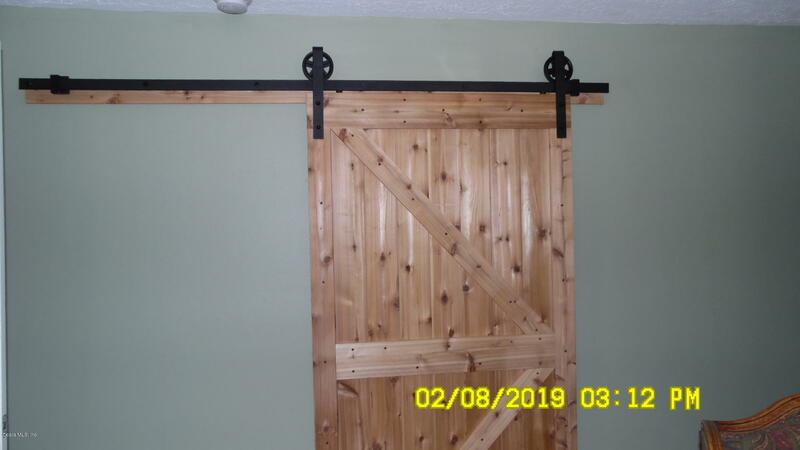 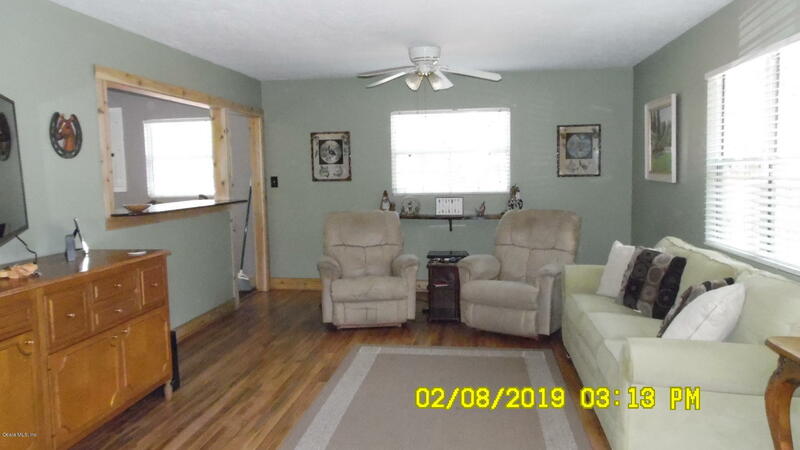 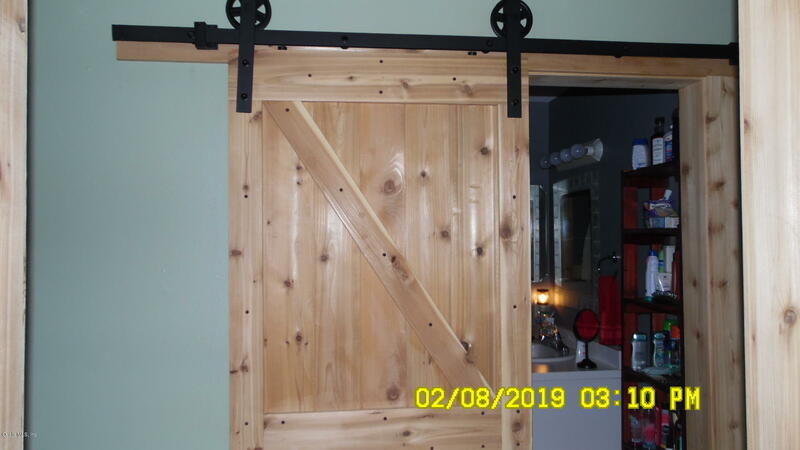 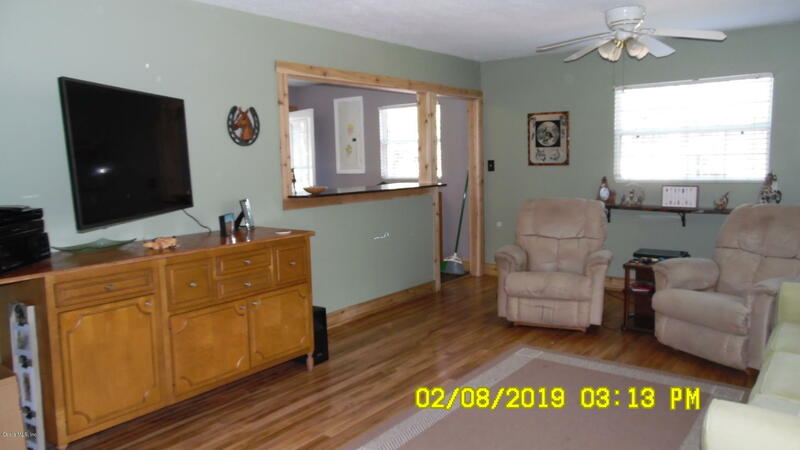 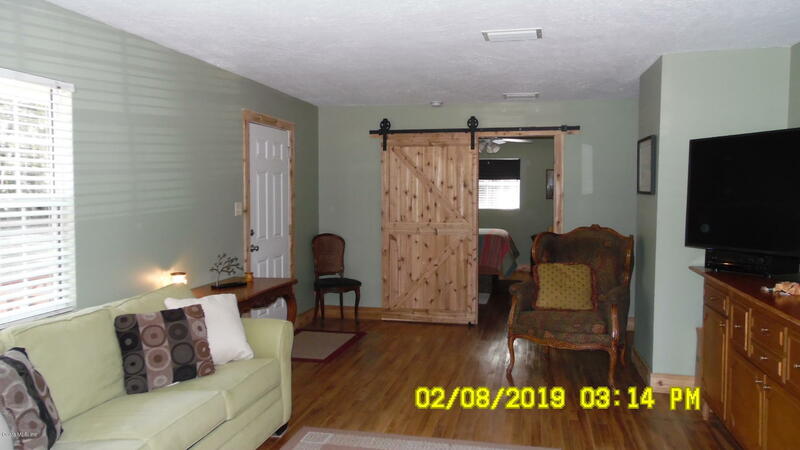 This home features beautiful original hardwood floors,has cedar trim throughout with handmade barn doors in both bedrooms and bathroom. 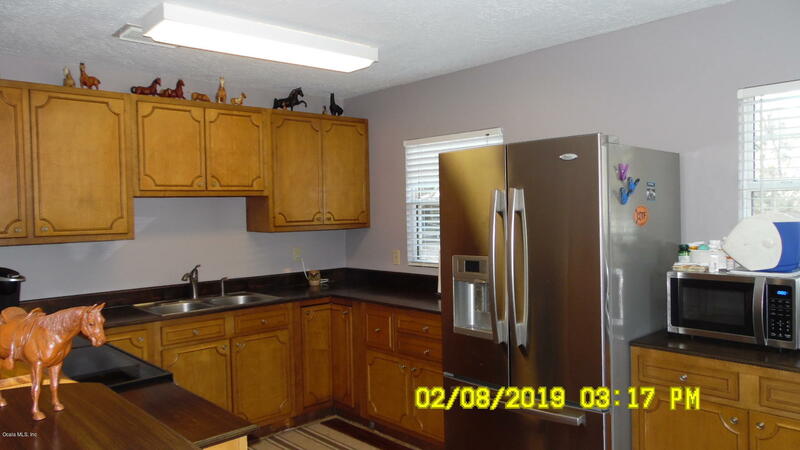 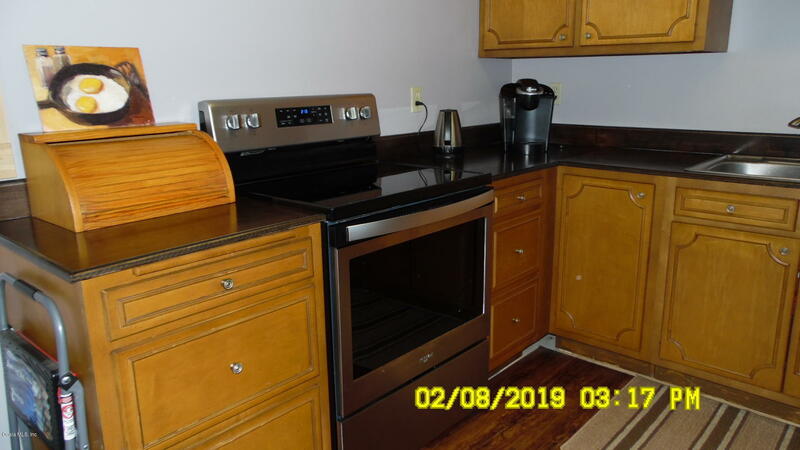 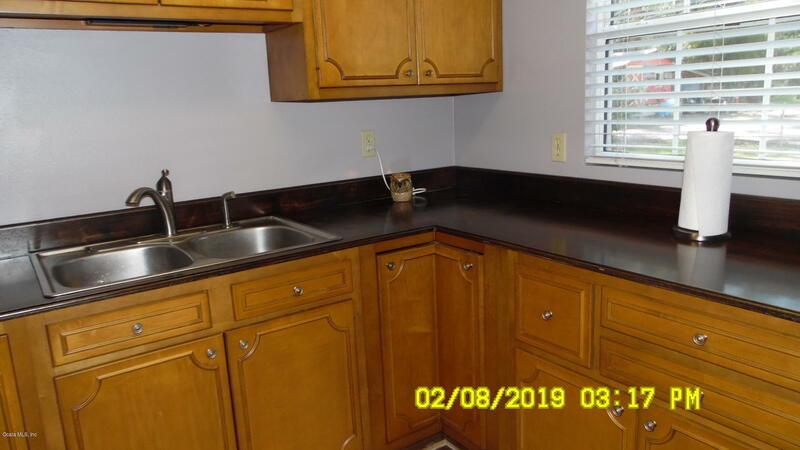 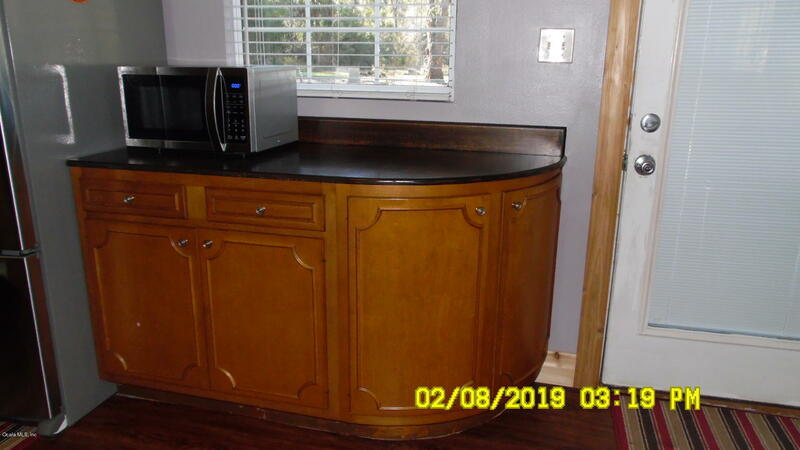 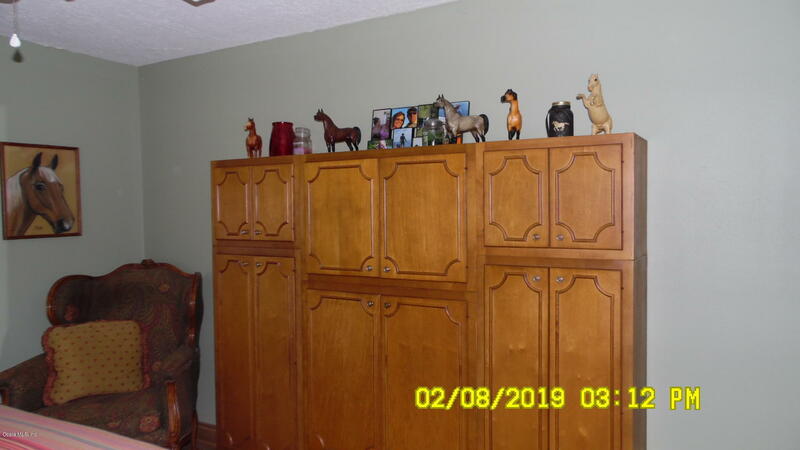 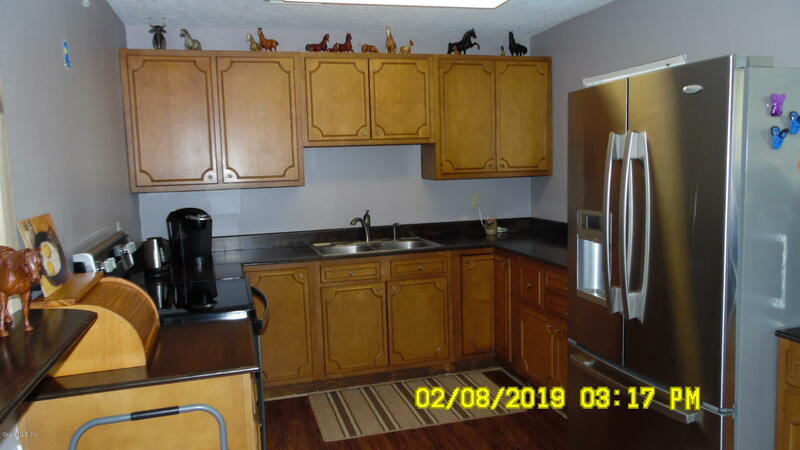 Kitchen has beautiful wood cabinets with built in slide outs and also lazy susan. 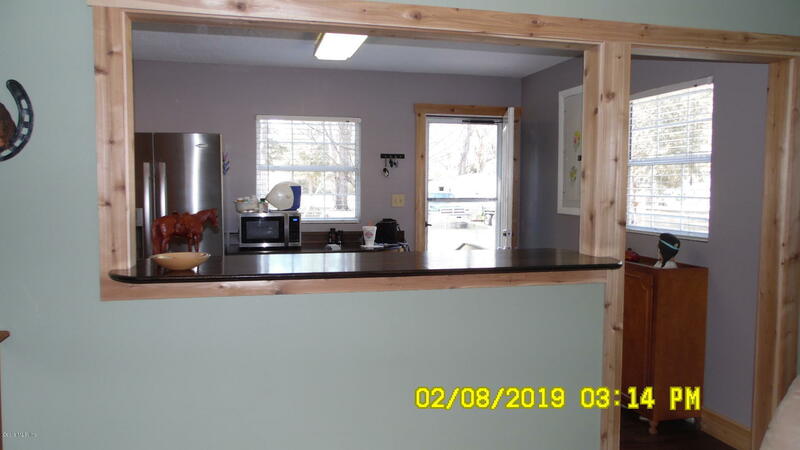 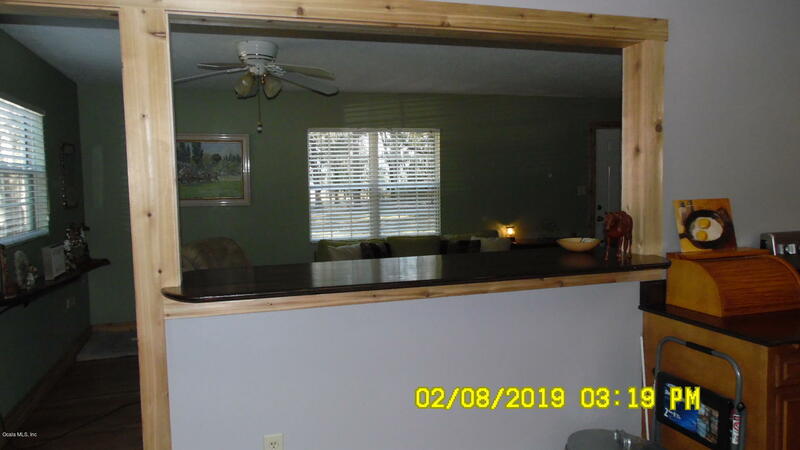 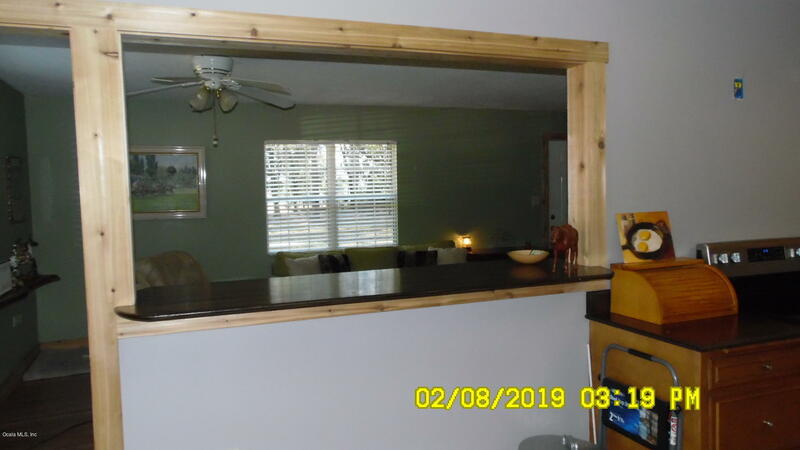 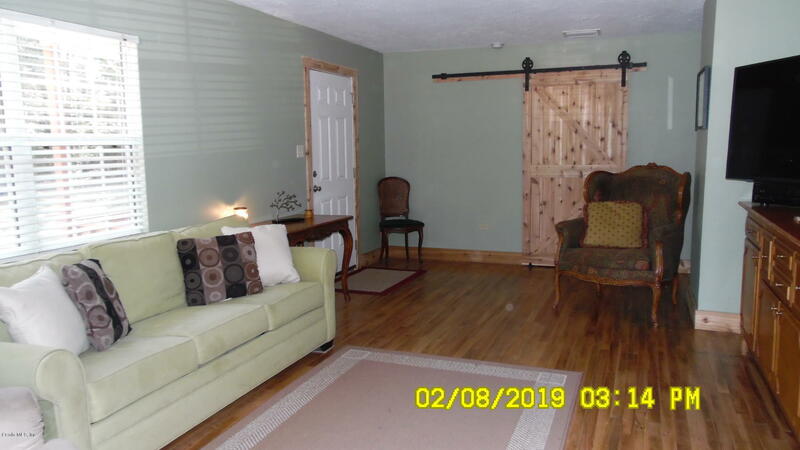 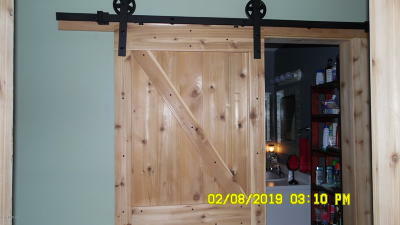 Has pass through bar between kitchen and living room for eating. 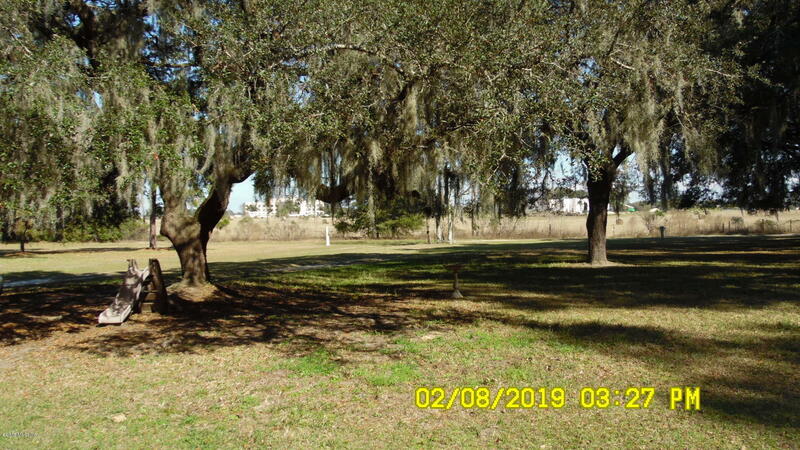 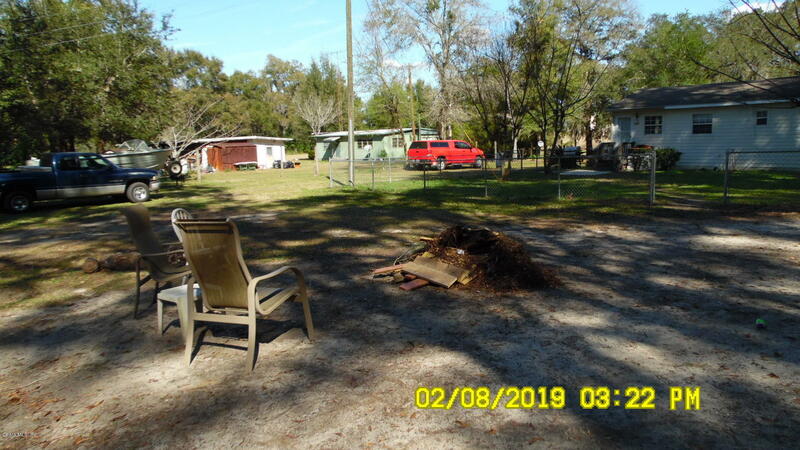 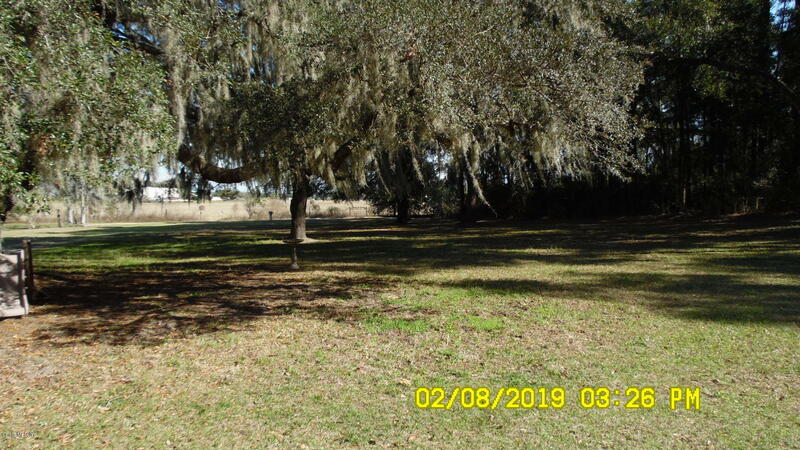 Just over 1 acre with beautiful live oaks very peaceful quiet setting. 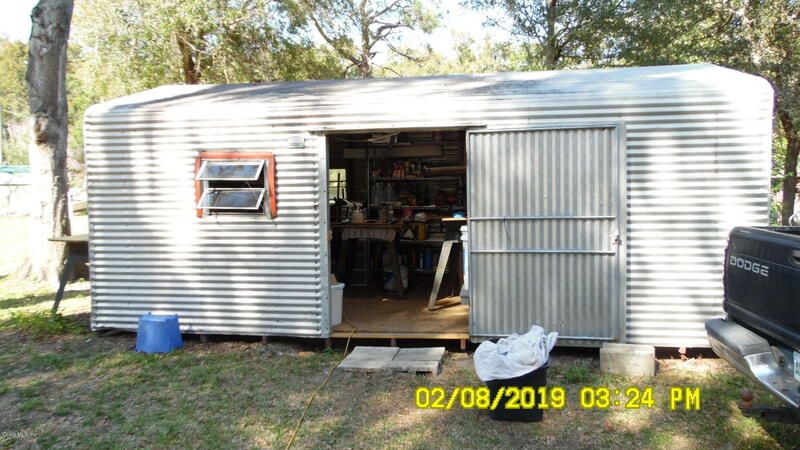 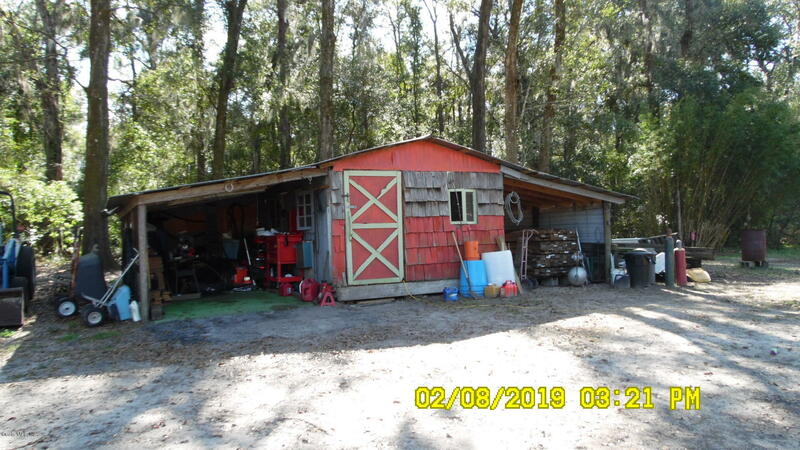 Has 2 storage buildings one is wood 12 X 12 with overhangs on both sides for equipment the other one is 12 X 20 metal building. Also newer windows,and electric.